Spain's Barcelona defender Gerard Pique has confirmed his retirement from international football, according to BBC Sports. The 31-year-old central defender made 102 appearances for his country between 2009 and 2018, scoring five times. He was part of the Spanish team that won its first World Cup in 2010, before adding the 2012 European Championship. His appearances were often hailed by scoffers and whistles by Spanish fans, partly because of his support for the referendum on the independence of Catalonia. Catalonia, a region of 7.5 million people in northeastern Spain, has its own language and culture and Barcelona is its capital. 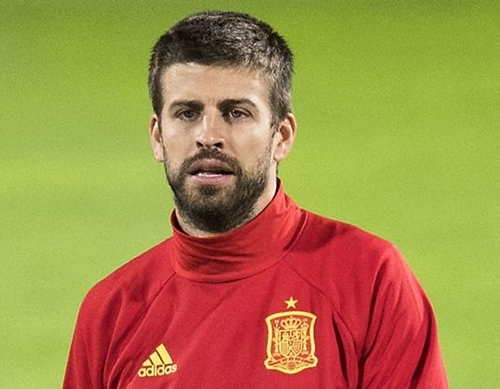 Pique had declared his intention to leave international football after the 2018 World Cup following a qualifying match against Albania in October 2016, while he tired of criticism and wanted to "stay in peace". He remains a division figure in Spain and has often criticized Real Madrid, the rival of his club. Piqué did not immediately confirm his retirement after Spain's exit from the World Cup when he lost on penalties to Russia in the last 16 games. His decision was made despite the fact that the former head of Barca, Luis Enrique, has since been appointed director of Spain. "I spoke to Luis Enrique a few days ago, he called me and I told him that the decision was made a long time ago and that I had thought about it," Pique said on Saturday. "It was a great time with the national team in which I had the chance to win the World Cup and the European Championship and now I want to focus on the Barca," he added. "I have a few years left here and I will appreciate them a lot."